Nintendo Direct Tomorrow to Focus on Fire Emblem and Other Switch Games | Nerd Much? Nintendo fans felt scorned when January came and went without delivering a Nintendo Direct that typically arrives around that timeframe. But apparently they were just taking their sweet time, as we’re now officially getting a Nintendo Direct tomorrow. 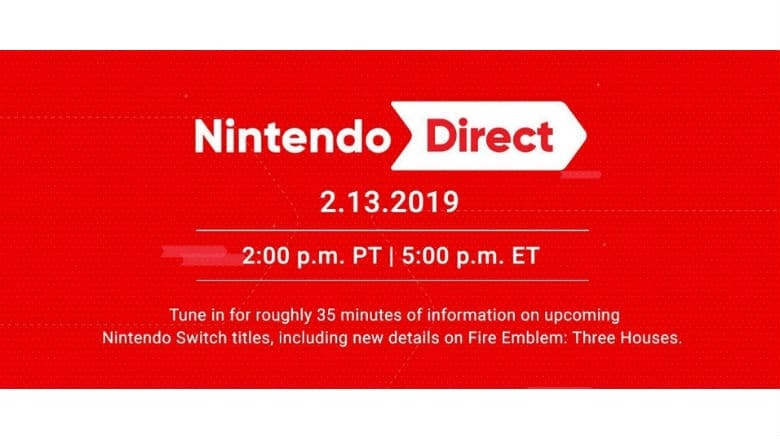 The Nintendo Direct tomorrow will go live within the YouTube video above at 5:00 p.m. Eastern time, 2:00 p.m. Pacific. The publisher is promising about 35 minutes of coverage that will focus on upcoming Nintendo Switch titles. The only game specifically mentioned is Fire Emblem: Three Houses. Expect to see Nintendo spent a good chunk of time tomorrow covering their upcoming Fire Emblem installment. They’ve also yet to confirm a release date for the game to this point. The tactical RPG was slated for a Q2 2019 release, so we’ll likely see an exact date confirmed during the Nintendo Direct tomorrow. Other than Fire Emblem, we can only speculate as to what else Nintendo is ready to show off. We may get one final look at Yoshi’s Crafted World before its March 29th release. But there are other exciting first party titles coming in 2019 too that could very well be covered. We may finally get our first glimpse at the Switch’s Animal Crossing title which is still currently set for this year. We could get another look at Daemon X Machina which has folks curious as well. Luigi’s Mansion 3 is also scheduled to land on the Nintendo Switch at some point in 2019. So we could finally be getting our first look at Luigi’s 3rd ghostbusting adventure in the Nintendo Direct tomorrow. And, of course, we the Switch’s first mainline Pokémon game coming this year as well. But that will likely be an end of the year title, so we’ll likely have to wait until E3 for news on that. Theorize away for the next day. We’ll see during the Nintendo Direct tomorrow what the company has in store for us.